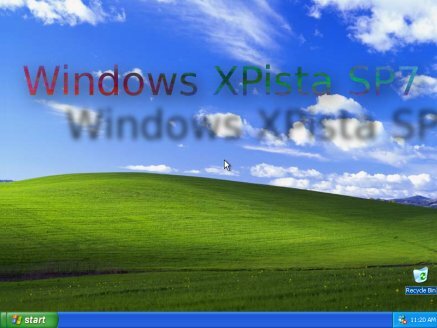 Summary: If Vista 7 runs XP, how does that improve security? Conficker affected pretty much every version of Windows and none of this is going to change (see links at the bottom). Can Microsoft finally offer value to customers? Well, if offering a product from 2001 counts as value, then maybe. As DaemonFC put it, “Do you ever wish you could run your XP software at half the speed after paying another few hundred bucks?” That’s exactly what Microsoft seems to be doing right now. Microsoft Buttmonkey and Windows Enthusiast (Is there a difference?) Paul Thurott has posted on the latest “feature” of Windows 7, a full copy of XP in every garage! Yes that’s right. Windows is now so incompatible with….Windows, that you need to run two full copies at once to get XP compatibility. There is other coverage of this, but it mostly comes from people who promote Microsoft for a living, so it’s filled with spin. So, here is Microsoft’s offer: “Run Windows XP or virtualise XP under another more expensive operating system that only consumes resources unnecessarily.” This surely confirms that program/driver compatibility will continue to be poor in Vista 7. It’s just bound to disappoint. Ah, M$, late and loud at the party again. They have always promoted various “compatibility” layers for Vista but we know that these did not work. Vista changed out their driver layer for digital restrictions management and XP devices, games and other programs all broke. The really funny thing about their new approach is that GNU/Linux and Mac have had exactly the same thing for years. Anyone interested in “compatibility” through a VM can get it now with Parrallels, VirtualBox and a host of other ways. Waiting to move to Vista 7 for the same thing is as absurd as non free software gets. Astute users will also note that a M$ VM leaves M$ in charge of what software lives and dies on their platform. Go that way and you get “compatibility” that’s only as good as M$’s dwindling competence and good will can provide. The need for VMs to run non free software shows how broken the non free software model really is. It is almost understandable that Apple would do such a thing, but their success with “coherence” should be judged against the success of free software in porting across platforms and architectures. Debian, for example, now offers users the choice of a dozen types of CPU architecture and a choice of three kernels, Linux, BSD and HURD. Nothing is as good as a natively compiled application and Apple’s success is really an inelegant kludge that non free software requires. As Roy points out, M$’s need for a VM to run their own software demonstrates M$ particular failure. They have failed to support their coders and those in turn have failed to support their users. The free software perspective has always been that the software “upgrade train” is an unacceptable loss. The whole point of non free software is to periodically extract money from users. Users are fed up with this and this is one of the reasons Vista is a failure. Free software offers everyone a better way of getting things done. Can they finally drop the binary-only mindset and ascent to 64-bit? That would also resolve compatibility nightmares.